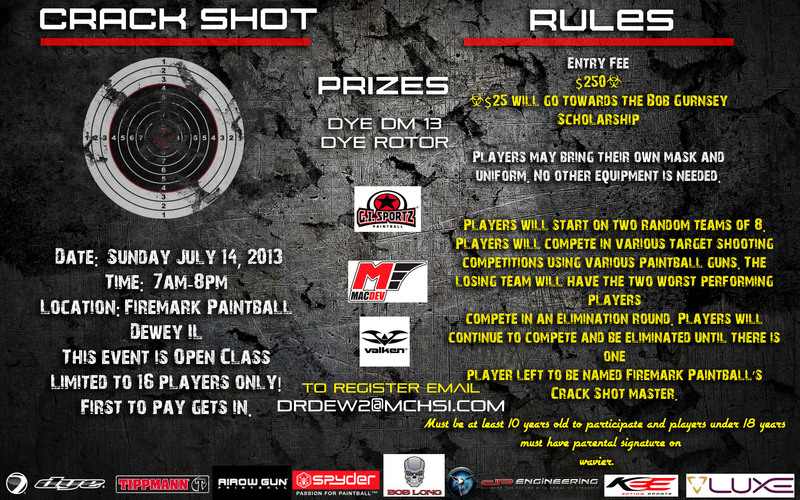 Do you have a group that wants to play paintball? Ask about our $30.00* (per person)Special! Firemark paintball is East Central Illinois is a family owned operation for the past 10 years that is continually growing. We have 5 action packed outdoor fields with terrain varying from our extreme woods field to our xball field. Check out our pictures and become a fan on facebook (Firemark Paintball). Firemark Paintball works very hard at keeping everyone safe and having the best experience, that paintball has to offer. Is it going to be your birthday soon? Ask ahout our Birthday Party Special! SAVE TIME AND PRINT OUT THE WAIVER! Click here to download the Firemark Paintball Waiver, which can be read in Adobe Acrobat. 4 hour timeslot to long? 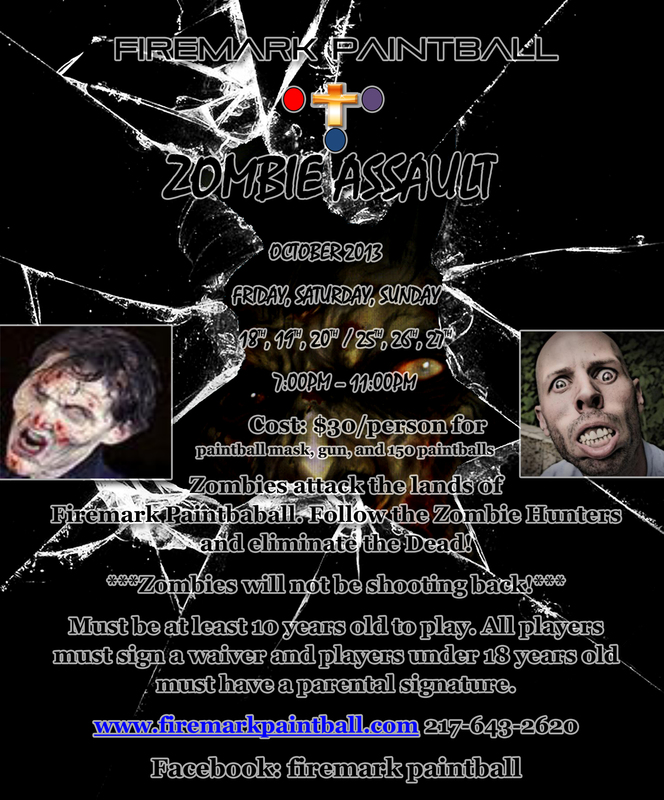 Ask about our $30.00 (per person) two hour timeslot Special! *Must Call or Email to reserve a day and timeslot!